If you are trading in gold then it is essential that you should watch technical analysis chart to take right decision. Trading in gold can give you highest gains if you trade safely. In the gold live chart we give target of 140 – 150 points and 75 points stop loss. 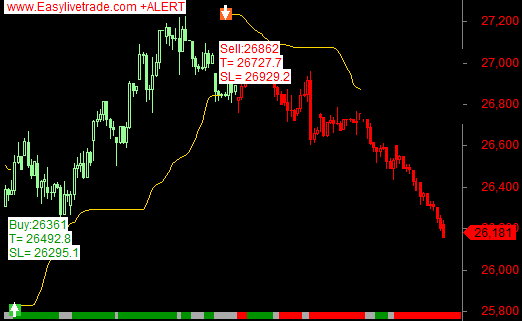 Intraday technical analysis software of gold gives good result. All rights are reserved by Easy Live Trade.